Dr. E.L. Warren is the founder and president of E.L. Warren Ministries International, Inc. a ministry releasing the revelation put in his heart by the Holy Ghost for the equipping the Body of Christ. Dr. E.L. Warren has been the Senior Pastor of The Cathedral of Worship since December 1980. 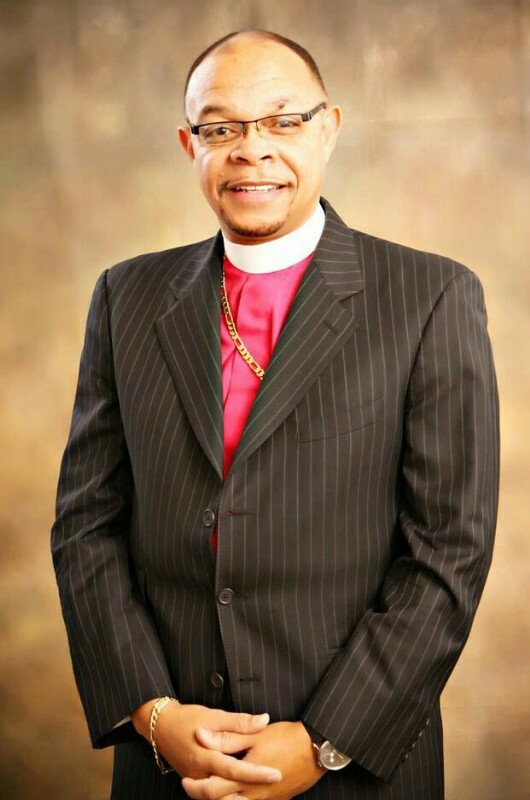 In 1996, he was Affirmed and set apart to the five-fold office of Apostle to the Body of Christ and was consecrated to the office of Bishop by the International Communion of Charismatic Churches (ICCC) College of Bishops. Archbishop Earl Paulk presided at the Cathedral of Chapel Hill in Atlanta (Decatur), Georgia October 1998, and presided at the Installation in Quincy, Illinois in September 1999. Dr. E.L. Warren has been seen and heard daily on television and radio and travels the world bringing foundation, integrity, and excellence to the Body of Christ in Churches, Prisons, Seminars, Conferences and Crusades. He is the author of 6 books: "Fasting God's Way", "Positioning Your Faith to Pray the Will of God", "Healing: A Different Perspective", "I'm Saved, Now What? ", "Making Your Marriage & Life Marvelous", "Help Lord I'm Raising a Teenager" and his newly released book, " The Seduction of Success". He has also written work books for the Institute of Victory, a Ministry School of Excellence, as well as a manual for new convert training. He also has written articles for many magazines and serves as the Senior Advisor for the Sparkman Magazine. He has composed several songs, and has recorded and released "All Things New", "I Trust you Lord", "So Amazing" and over 30 more. Dr. E.L. Warren currently serves as the office of Secretary/Treasurer on the College of Bishops of the (ICCC) International Communion of Charismatic Churches, under the leadership of Archbishop Kirby Clements, also on the Sacred College of Bishops for Go Tell It Ministries Worldwide, along side of leadership of Bishop Corletta Vaughn. He is the founder of Goal Setting Systems & Structure leadership Training. He has traveled to over 23 Nations and his ministry reaches nearly 10,000 men & women annually in 23 prisons in 5 states. He is the Chancellor for seven Extension Campuses for Life Christian University. Dr. E.L. Warren is the Presiding Prelate and the COO of the International Network of Affiliate Ministries (INAM). Dr. E.L. Warren was born to Eddie & Arleather Warren in Baldwyn, MS. He attended and graduated from St. Louis Public Elementary and High Schools. He also attended St. Louis University, St. Louis Christian College, and graduated from Bailey Technical School, and recently received his PHD of Theology from Life Christian University. He has served as a Minister of Music at New Northside M.B. Church 1970-1978. E.L. Warren was born again in 1976 and also spirit filled in 1976. He accepted his call to ministry in 1978 and was licensed and ordained at New Northside M.B. Church in 1978 by Rev. Willie Ellis. Dr. E.L. Warren has been married since June 1978; his wife is the former Ella Pearl Rockingham. Their children are Valecia Warren, Dr. Malessa Warren, Roderick Warren MBA, and Eddie Cardell Gaston is the oldest son of E.L. Warren. They currently reside in Quincy, Illinois where the Ministry's Corporate Headquarters is established.